First one up for today is a nice and simple range play on USD/JPY. The pair hit a support at the 116.65 area, which had also been the spot where it had bounced last week. Could the bulls win a round against the bears? Stochastic is currently on their side as it just left the oversold territory, but keep an eye out in case the bears aren’t done attacking just yet. A long trade at current levels could get you a good reward-to-risk ratio if you put your stops just below the range and aim for the resistance around the 118.25 area. Meanwhile, a break below the support level or a bounce from the range top are good setups if you’re one of them yen bulls. Who’s up for a nice and easy Fib play? GBP/USD looks it might get support from the 1.4250 minor psychological area. If it does, then we could see a move all the way to 1.4350, which is right smack in the middle of a previous area of interest AND a 50% Fib retracemement level on the 1-hour chart. 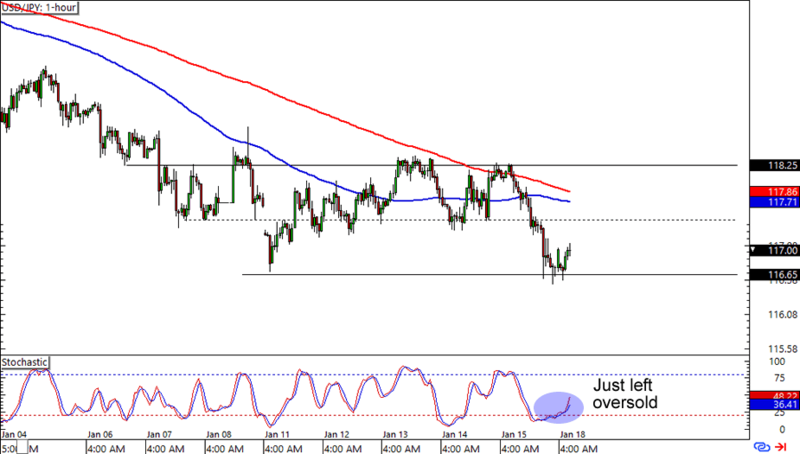 The bears can then attack with stops above the Fibs and 100 SMA while aiming for new lows. What do you think? Will the pound see more losses against the Greenback? 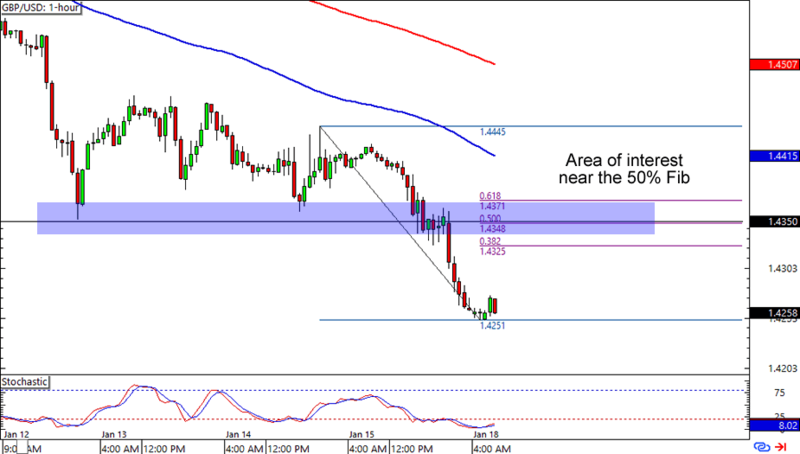 Read up on how you can use Fibs for entering trades if you haven’t yet! 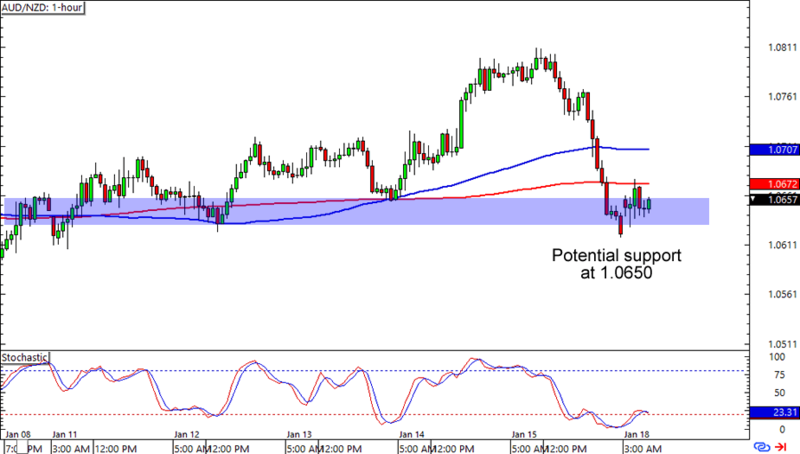 Last one up for today is another simple support play, this time on AUD/NZD’s 1-hour chart. The pair is consolidating around the 1.0650 handle, which is near the 200 SMA and a previous area of interest. Not only that, but Stochastic is also sporting an oversold signal. A long trade at current levels could give you a few pips especially if you aim for previous highs. Just make sure you keep your stops loose if you’re planning on trading this setup, aight? Volatility is always tricky, especially for currency crosses like this one!